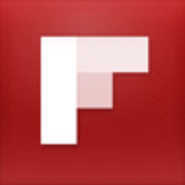 Best app of the year: Flipboard. "...ends the chaos by grabbing updates, photos and links from your friends and other interesting people, then reformatting everything in a wonderfully browsable, magazine-like format. 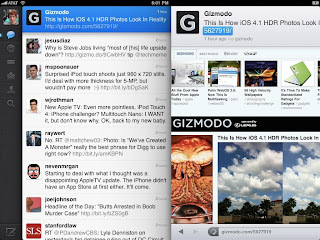 You can also add feeds from your favorite blogs and websites and share items with friends via social media and e-mail. With its oversize images and crisp typography, it's a glossy digital publication that feels as if it's been edited by your pals just for you." 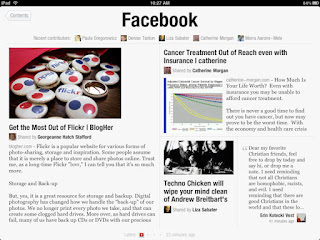 Half social network, half magazine, Flipboard is conceptually new and totally awesome - a tantalizing glimpse of the future of the news business itself. PressReader is the best argument for your anti-iPad friends who painfully insist, "There's just something about reading a newspaper that I love." 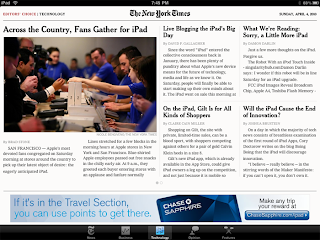 PressReader lets you download thousands of the world's newspapers onto your iPad or iPhone in their original form - ads, classifieds, and all - for 99 cents an issue or a monthly subscription fee that's less than what I was paying for the Globe and Mail and Sunday New York Times by themselves. Peace on Earth, goodwill to ham. 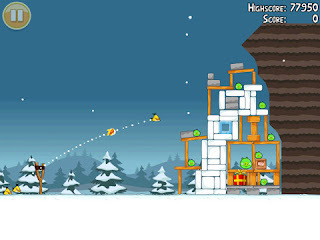 Like millions of other iPhone/iPad users, I'm addicted to Angry Birds - die you damn stupid pigs, die! Die! I downloaded the Angry Birds Halloween app for just 99 cents and was blown away when the free update turned it into "Seasons" and the first holiday advent game - one level of Angry Birds released every day up until Christmas. Ask yourself: what game would baby Jesus play on Christmas? Duh! 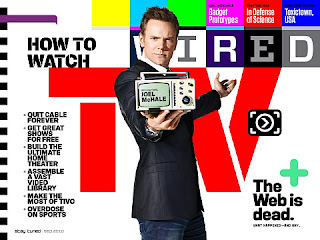 WIRED is the Cadillac of iPad magazine experiences. Available for $4.99, each month's mag is a separate app - and with each new issue, the magazine gets smarter with embedded video, interactive ads, and a bizarre-but-getting-better horizontal/vertical layout. I can't wait to see how the mag continues to evolve, and I'll keep buying the monthly updates to find out. Pages is the app that makes the convincing argument that it's time to turn the page on the laptop. 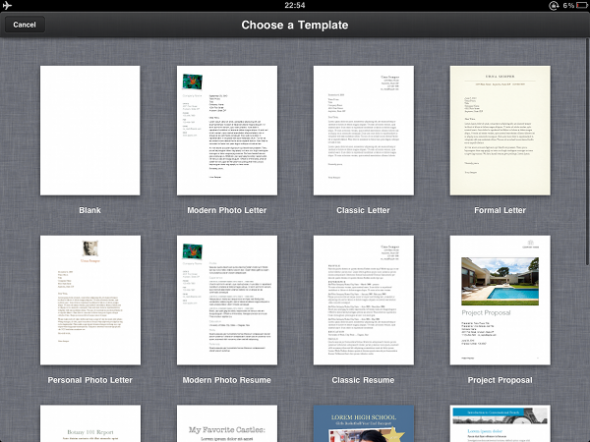 I've been using the Pages app - the iPad's word processor - since the day I got my iPad. I fully expected all kinds of hassles and wonky conversions to and from Word, and it's been a more pleasant experience than I could've imagined. 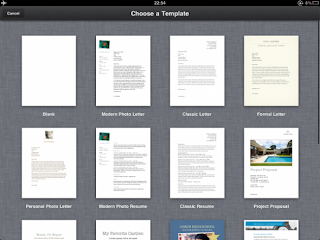 Pages is the "Word" part of Apple's iWork slate of apps, which includes Numbers (Excel) and Keynote (PowerPoint). The apps are available separately for about $10 each, which is a real steal - so important is it to the iPad's sales and Apple's profits to convince people that the iPad is a viable replacement for a laptop. The New York Times app recently changed its "Editors' Choice" app to include every article in every section of the paper, including the NY Times magazine. A shocking amount of information for the shockingly low price of free, I've seen grown men break down and buy an iPad on the strength of this app alone. This is a cool app that allows you to shop for, buy, and download a load of different magazines; I subscribe to Chicago Magazine, Uncut, and NME, but there are thousands more available here. There's nothing here as exciting or interactive as WIRED, but it's a smooth app that has the jump on being the iPad's go-to destination for magazine shopping. The app is free and comes prepackaged with five magazines, but you've gotta pay for the rest. Magazines range in price, but most offer year-long subscriptions for much less than the cover price. 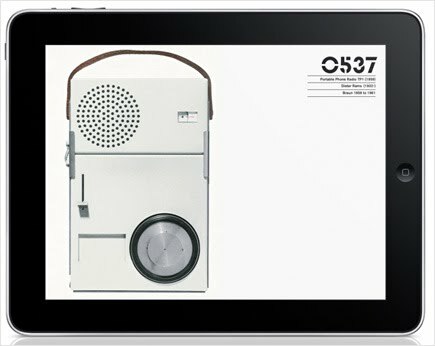 Phaidon Design Classics will run you $20, but I justify it by considering it to be an interactive coffee-table book (the future of the Independent Professional Project?). "This authoritative and meticulously researched collection charts the story of product design over the past 200 years. It was years in the making and was compiled via rigorous selection process by an international panel of design-world insiders, including architects, critics, curators, product designers, auctioneers, and historians." You haven't used Twitter until you've used the Twitter-brand iPad app. The rumor was that Twitter's online facelift was going to mirror this app - which it kind of tried to do - but nothing beats the perfect layout, simplicity, and beauty of fold-out tweets in landscape mode on a touchscreen. Angry Birds Seasons is consuming my life at the moment. I'm intrigued by the Flipboard app. I'm going to have to download it next time I get the iPad. 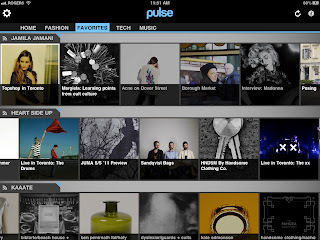 I'm in the process of downloading Pulse News for my iPhone. I'm curious to see what it looks like on the smaller screen! Flipboard is amazing! it's like a magazine of your life... but better. I completely agree with all of the above. Pulse is probably one of my favorite apps, along with Pages and Twitter. I use it as my one stop destination for all video game industry news. Yay! All the best and worst to you and yours from '10! Is WikiLeaks the Napster of freedom of the press? 14 new words to use over the holidays! Merry Christmas from the ad majors!